Witness intimidation is a California domestic violence charge involving alleged threats to an intimate partner. Any type of couple can be considered an intimate partnership – the individuals can be straight or gay and may be married, divorced, living together, have children in common, or have dated at any time. California domestic abuse law defines witness intimidation as any attempt to prevent an intimate partner from making a police report, answering the questions of law enforcement, or testifying in a court proceeding. The offense can be charged as a misdemeanor punishable by up to one year in jail. However, if the defendant is accused of using or threatening force, if the intimidation is part of a conspiracy, or if the intimidation is for financial gain, he or she will be charged with a felony punishable by two to four years in prison. The success or failure of the offender’s attempt is irrelevant to this charge, meaning that it doesn’t matter whether the intimate partner was actually intimidated. When a suspect is arrested for intimidating a witness as a misdemeanor, bail is set according to the bail schedule but can be raised or lowered based on an application that can be submitted by the defendant, by anyone on behalf of the defendant or by the arresting officer. However, if the suspect is arrested on a felony witness intimidation charge, the law forbids the defendant from being released on bail in an amount that is either higher or lower than that contained in the bail schedule or on his or her own recognizance (commonly called OR) without first having a court hearing. If there is a bail hearing, the judge will consider the defendant’s prior criminal history, his or her flight risk, and the facts of the pending case to determine whether to raise or lower the set bail amount or to release the defendant OR. When the judge makes decisions about bail, he or she presumes that the accused is guilty and makes a decision keeping that in mind, which is why it is so important to appear with a criminal defense lawyer who has experience with every phase of an intimate partner abuse case. If the defendant is denied an OR release – which is very common in domestic abuse cases – and must post bail, release from jail can be obtained through one of two methods: Posting cash bail or posting a bail bond. To be released on cash bail, the defendant must post the full amount of bail in certified funds or cash with either the arresting agency or with the Clerk of the Court. If the accused attends every court appearance, the cash will be returned within 60-90 days after the case is resolved. However, if the defendant fails to appear, the cash bond is forfeited to the court. A bail bond is a contract with a bail agent where the agent agrees to post a bond for the full bail amount. The bondsman will generally charge ten percent of the bond amount as his fee. The bondsman may also require collateral (usually a car, house or something else of considerable value) to secure the bond. This means that if the defendant does not repay the bond, the bondman has the legal right to keep or sell the defendant’s collateral. Once the case is over, the bond is exonerated, and the collateral is then released. 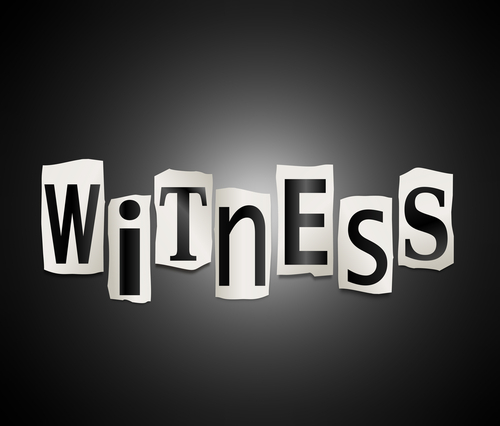 A witness intimidation conviction carries severe penalties. The defendant’s reputation, career, family and freedom are jeopardized the minute the arrest is made, which is why it’s critical to contact a skilled California defense attorney immediately after being arrested. 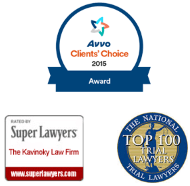 In order to secure the best representation from a firm who has successfully defended countless individuals charged with domestic abuse crimes, contact the unparalleled attorneys at The Kavinoky Law Firm for a free consultation.